It took a village of engineers to build a completely new type of unmanned deep-sea robot that can reach the deepest part of the ocean. 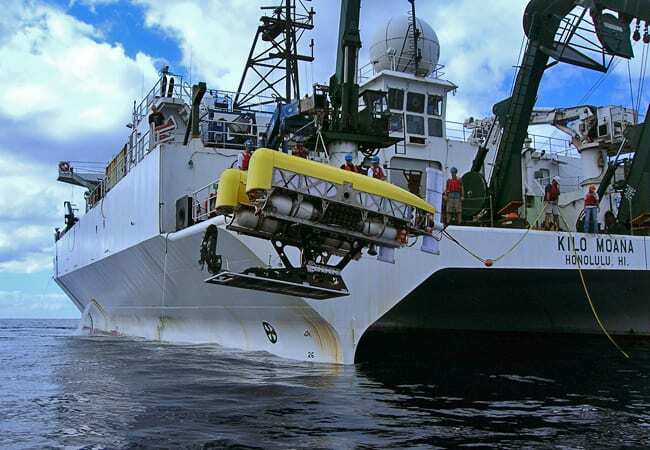 On May 31, 2009, a team of engineers at Woods Hole Oceanographic Institution (WHOI) celebrated as the unique vehicle called Nereus dove to 10,902 meters (6.8 miles) in the western Pacific Ocean’s Mariana Trench. To build Nereus to withstand the crushing pressures at such depths—especially at the relatively inexpensive cost of $8 million—the engineering team “pushed the envelope on a lot of fronts of technology,” WHOI engineer Matt Heintz said. Different engineers spearheaded different components of the vehicle: batteries for power, materials for flotation, a robotic manipulator arm, new lighting and camera systems, a fiber-optic cable to connect the unmanned Nereus to pilots aboard a ship. Yet each component had to be compensated for to make the whole package work. “If any one thing is overdone, then it impacts everything else,” WHOI engineer Daniel Gomez-Ibañez said. “So it was finding a balance of many things”—power, weight, size, materials, durability, safety, and cost. “Nereus is a hybrid—a combination of two types of vehicles in a single platform,” Bowen said. It can operate as a free-swimming autonomous underwater vehicle (AUV), flying through the ocean like an aircraft to survey and map large areas with sonar, sensors, and cameras. But it can then be converted aboard ship into a remotely operated vehicle (ROV) connected to a surface ship via a lightweight, micro-thin fiber-optic tether. 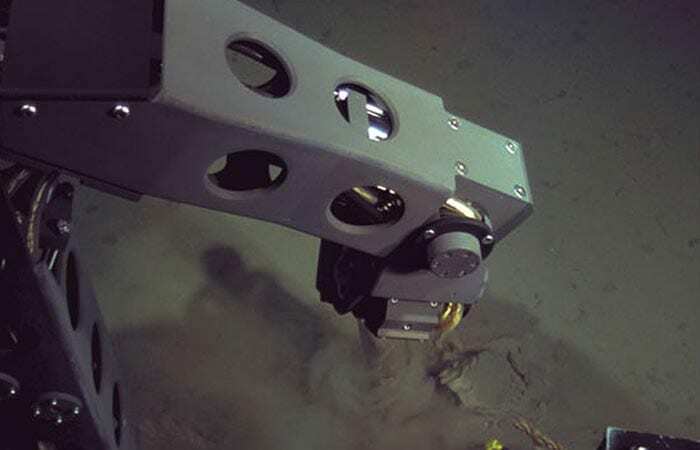 In ROV mode, Nereus can hover like a helicopter over a targeted seafloor site while shipboard pilots use the umbilical tether to receive images from the seafloor and to control a manipulator arm in real time to collect samples and conduct experiments. Reflecting its dual nature, the vehicle was named Nereus (rhymes with “serious”), a mythical Greek god with a fish tail and a man’s torso. 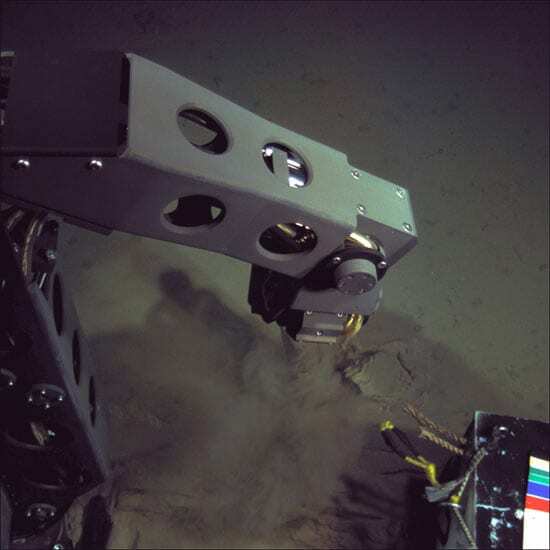 The tethering system presented one of the greatest challenges in developing a cost-effective ROV capable of reaching extreme depths. Traditional robotic systems use heavy, steel-reinforced cables containing copper wires to power the vehicle and optical fibers to transmit information between the ship and the vehicle. Such a cable, extended to reach the seafloor in the Mariana Trench, would snap under its own weight. To solve this challenge, the Nereus team adapted fiber-optic technology developed by the Navy’s Space and Naval Warfare Systems Center Pacific to carry real-time video and other data between Nereus and the surface crew. The tether is composed of a glass fiber core with a very thin protective jacket of plastic. It is about as wide as a human hair, weighs less than a kilogram, and will break if a force of only 4 kilograms (8.8 pounds) is applied. As Nereus descends, it spools out up to 40 kilometers (25 miles) of micro-fiber tether from two canisters the size of large coffee cans. “Now, if that little fiber breaks, it doesn’t mean we lose the vehicle, because the vehicle turns back into an AUV and comes home,” Heintz said. (In fact, the tether broke twice on Nereus’s recent cruise without repercussions). Nereus’s dual capabilities also make it suitable for use in polar oceans covered by ice that poses risks to tethers. Unlike traditional cables to ROVs, however, the micro-fiber tether cannot supply power, so Nereus has to rely on batteries. More than 4,000 lithium-ion batteries, similar to those used in laptop computers and cell phones, are packed into Nereus. It was Gomez-Ibañez’s task to carefully test the batteries to ensure they could be used safely and reliably under the intense pressure. Louis Whitcomb of The Johns Hopkins University and Dana Yoerger of WHOI were co-principal investigators of the Nereus project and were responsible for development of the vehicle’s navigation and control system. Heintz worked on a hydraulically operated robotic manipulator arm that could operate under intense pressure and use the vehicle’s limited battery power efficiently. WHOI engineer Jon Howland led efforts to create efficient lighting and camera systems. WHOI engineer Don Peters oversaw a major advance: using hollow ceramic spheres—precisely designed and fabricated to withstand pressure—to provide flotation. About 1,500 of the 9-centimeter (3.5-inch) spheres are packed into Nereus’s two hulls, instead of the much heavier and more expensive syntactic foam traditionally used in deep-sea vehicles operated by WHOI, such as the human-occupied submersible Alvin or the ROV Jason. Ceramics were also used for pressure-resistant housings, replacing heavier and expensive titanium. On May 24, the team left Guam aboard the research vessel Kilo Moana to begin a two-week engineering test cruise. 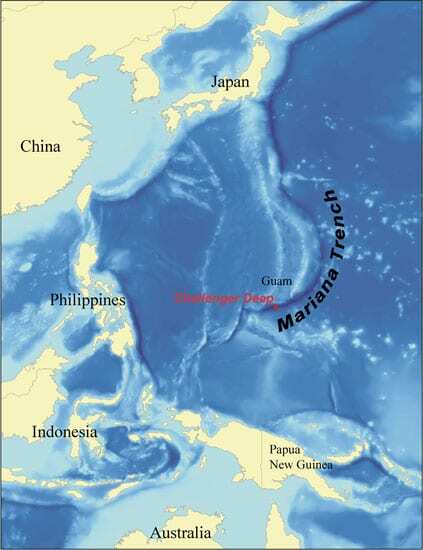 They headed 210 southwest to the Challenger Deep, the deepest part of the Mariana Trench, which at about 11,000 meters (36,000 feet) is the deepest part of the ocean. The tallest point on Earth, Mount Everest, rises 8,850 meters (29,035 feet) above sea level. “So the Mariana Trench represents sort of the inverted pinnacle to demonstrate a robot’s capability to explore the depths,” Bowen said. Only two other vehicles have succeeded in reaching the Mariana Trench: the U.S. Navy-built bathyscaphe Trieste, which carried Jacques Piccard and Don Walsh there in 1960, and the Japanese-built robot Kaiko, which made three unmanned expeditions to the trench between 1995 and 1998. Trieste was retired in 1966, and Kaiko was lost at sea in 2003. On May 31, the team could relax: Nereus made it down and back. 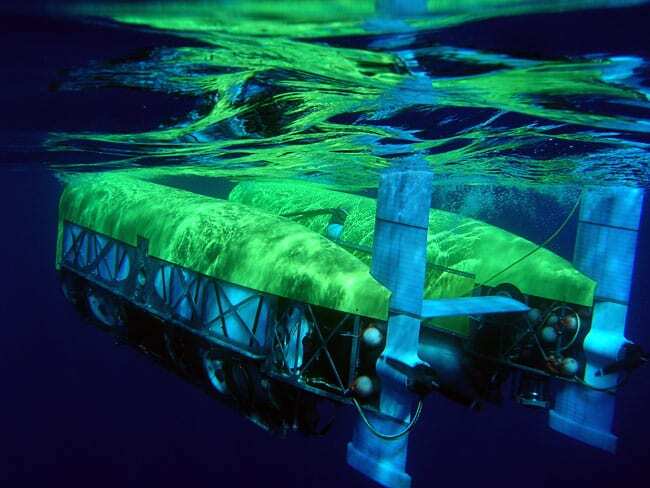 Funding to develop Nereus was provided by the National Science Foundation, the Office of Naval Research, the National Oceanic and Atmospheric Administration, the Russell Family Foundation, and WHOI.